We Design. We Develop. We Maintain. One WordPress Partner, That Can Help with Everything! We strive hard to offer you world class WordPress theme Development & Customization services, 100% human-coded and W3C compliant WordPress customized themes. We strictly follow WordPress codex standards & implement it in our plugin development to expand your website’s functionality. We assure versatile and powerful WordPress Plugin development at a minimal cost. We take Care of your Maintenance Headaches, In addition to development services, We handle maintenance, while you focus on growing your business, just rely on our comprehensive and quality support. Kick-start your digital store with our fully configured ecommerce websites, having catalog management, configurable products, front store optimization, SEO friendly, customer database, marketing campaign, and integrated payments. Web Content Writing, SEO Content Writing, Article Content Writing, Ghost Writing, Blog Content Writing, Creative Writing at a minimal cost. Never worry about your WordPress site again. From development to security and updates, From e-commerce to full development solutions, our knowledgeable support technicians are here for you. Your WordPress website needs regular maintenance to perform as it should. Keeping your WordPress installation up-to-date is extremely important. 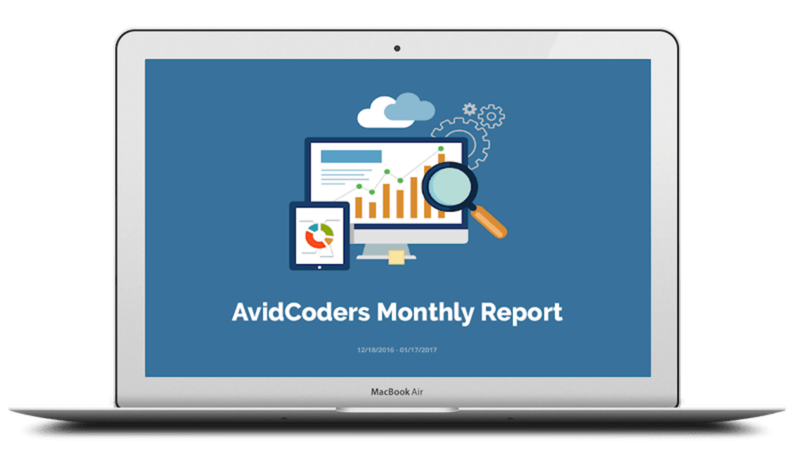 AvidCoders, Support and Maintenance Plans will keep your WordPress Website updated and secure with leading WP experts on your team to help you succeed! We connect you on Skype, Email or Meeting personally. Every minute details of your requirements are noted. We love to hear your dreams passionately! Our team does some serious brainstorming on your requirements to give you the best possible solution. Deadlines are set, and the work begins! Favourite of all our challenge hungry enthusiasts. Design and Development process works side by side in agile mode, so you get to see results right from the start! Every bug in your product hurt us. So we test all designs and code seriously and make sure your product is bug-free right before it hits the market. Finally, it’s time to ripe the fruits of all the hard work. Once thoroughly tested, product is all set to hit the market.